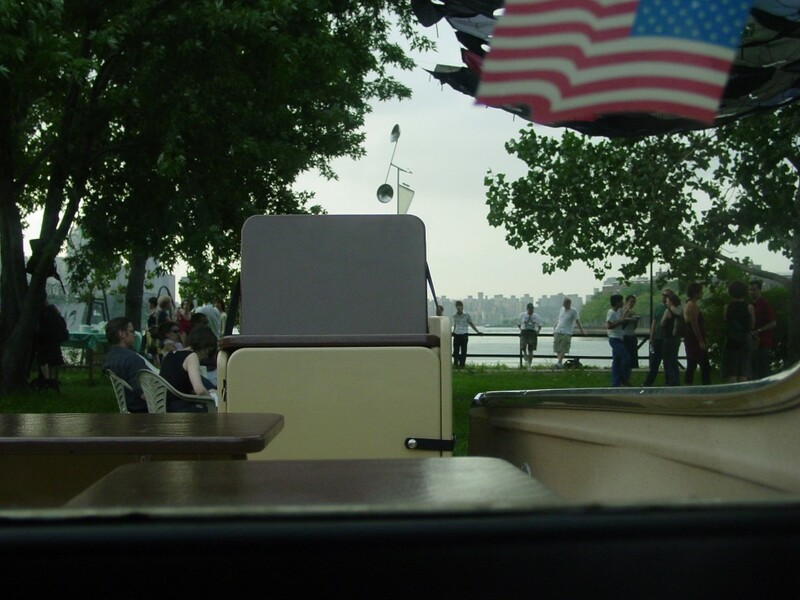 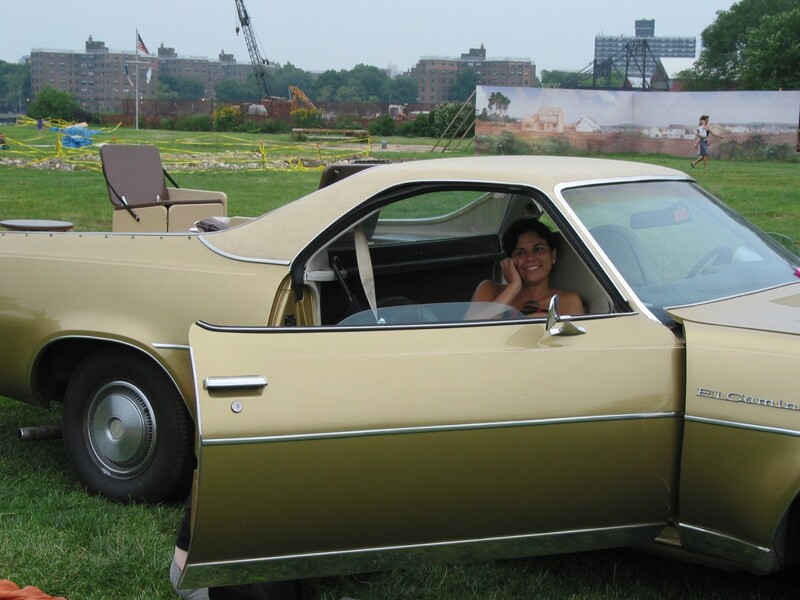 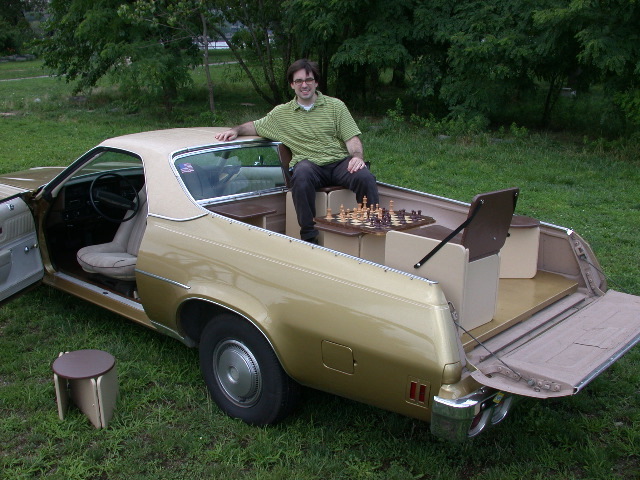 Perchance: A Floating Scenic Overlook is a social platform specially designed to slip into the back of a 1973 El Camino. 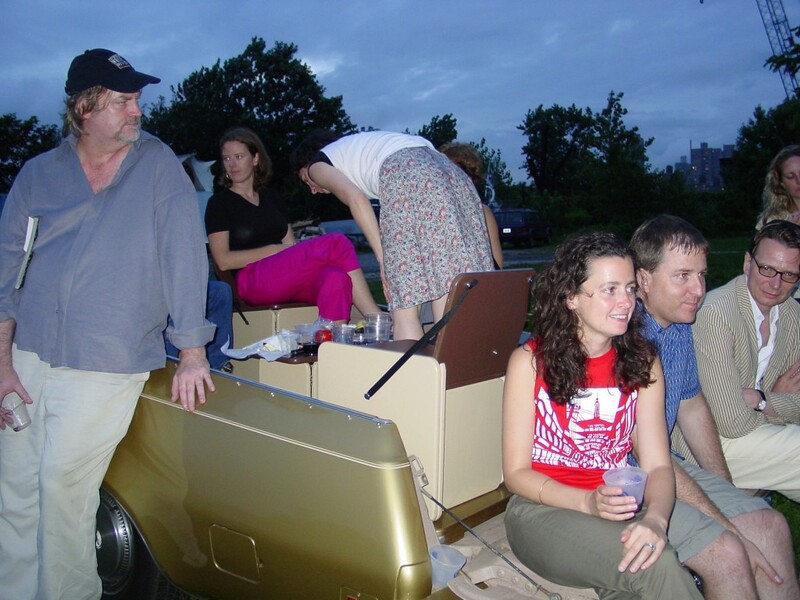 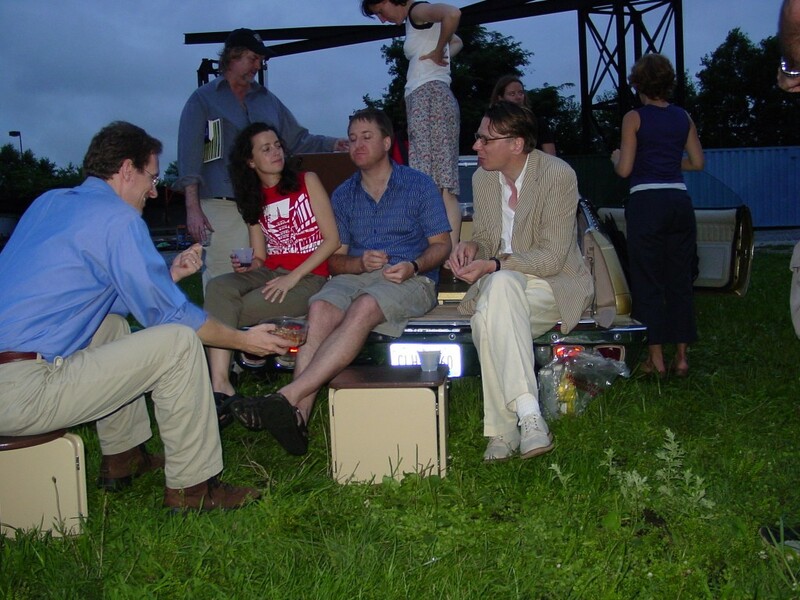 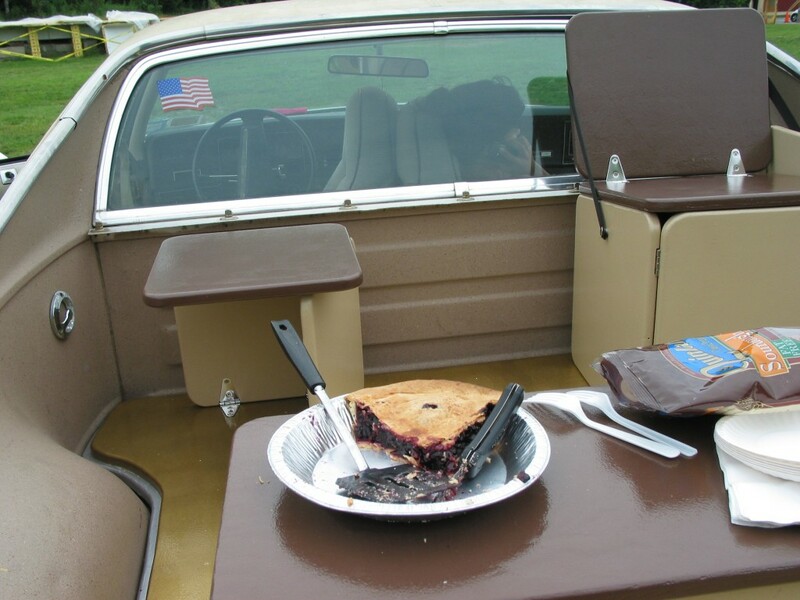 Perchance is like weekend tailgate in a backyard living room in the back of a car. 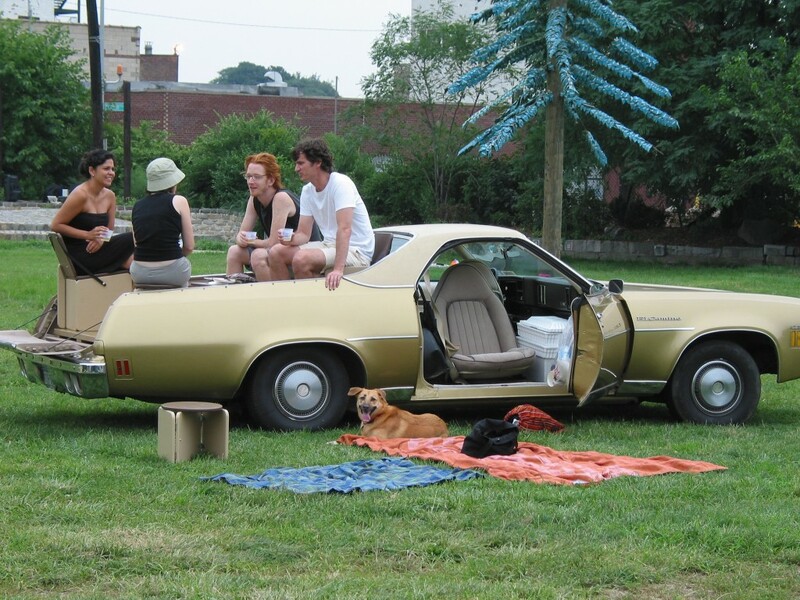 Artist, Austin Thomas, invites visitors to "park it and picnic at Socrates every Saturday and Sunday afternoon" from 3:00 until 9:00 p.m., and to participate in pick-up games of badminton and cards in the evenings.